Archie Watson's Summer Blossom is as consistent as they come. Did nothing wrong last time out when leading for most and just outpointed in the closing stages. A battling type who is likely to try to lead. Deserves to taste victory. I'm always slightly concerned juveniles with a number of hard races may regress at some point. However, this daughter of Society Rock is a hearty type. Catan put in a bold show last time out for Roger Charlton. 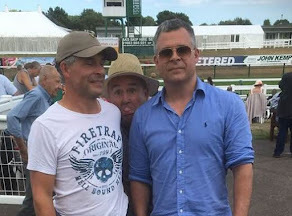 Backed from huge odds, no doubt a consequence of certain people knowing this colt was going to do front-running tactics. Under a weight penalty, he ran a sterling race being collared in the shadow of the post. 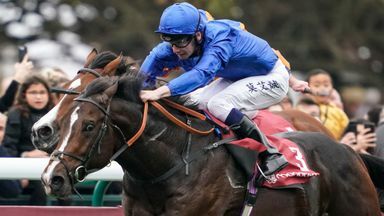 Note: So pleased to see Royal Marine win at Longchamp, Group 1 Jean-Luc Lagardere for trainer Saeed bin Suroor at Longchamp, France on Sunday, 7 October. This colt was detailed on our 10 Dark Horse Mailing. See what we said about Royal Marine. Help share the success by sharing these posts. The more people given the harder I work.